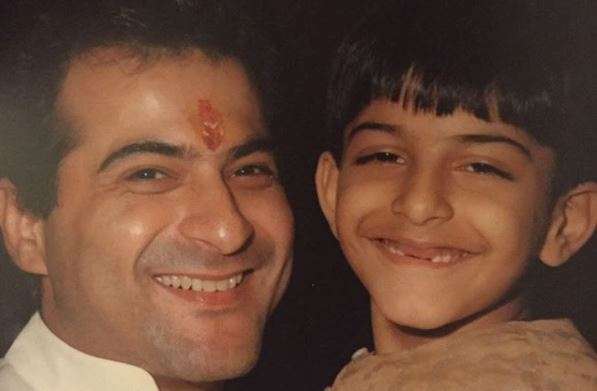 As Bollywood actor Harshvardhan Kapoor keeps his fingers crossed over response to his latest flick Bhavesh Joshi Superhero, his uncle Sanjay Kapoor took out time to share an adorable throwback picture. Sanjay also gave a hilarious caption to it. He wrote, ''Bhavesh Joshi unmasked. Watch the super talented Harshvardhan in Bhavesh Joshi, in theatres today''. In the photo, we can see both Sanjay and Harshvardhan smiling broadly while posing at the camera. We can also spot Harshvardhan's missing teeth in the throwback photo. Well, this is undoubtedly a Friday treat. 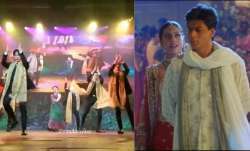 Bhavesh Joshi clashes with Sonam Kapoor's Veere Di Wedding, which stars Kareena Kapoor, Swara Bhasker and Shikha Talsania. Bhavesh Joshi Superhero has been helmed by Vikramaditya Motwane and revolves around a character who inspired by a friend's still-in-progress novel starts fighting casually against evil powers in society.  However, soon things turn out to be ugly for him and Bhavesh realises that he should become serious now. On the other hand, Veere Di Wedding directed by Shashanka Ghosh is a fun-filled story about four friends. Meanwhile, Harshvardhan made his Bollywood debut with Rakeysh Omprakash Mehra's Mirzya. Unfortunately, the film tanked at the box office. Bhavesh Joshi Superhero is Harshvardhan's second film. He will also be seen in Abhinav Bindra's biopic, co-starring Anil Kapoor.